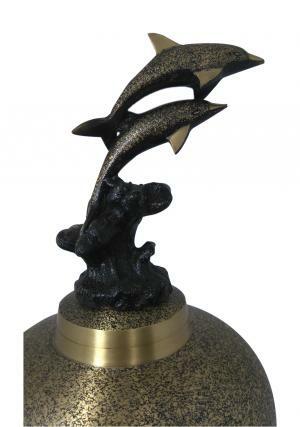 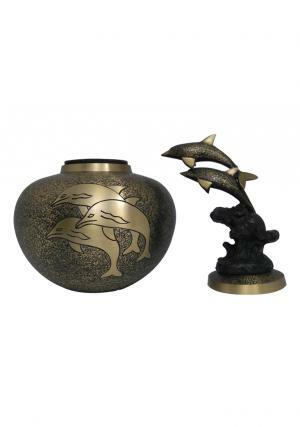 Swimming Dolphin Adult Urn is a solid brass with heavy engraving of brass and black. 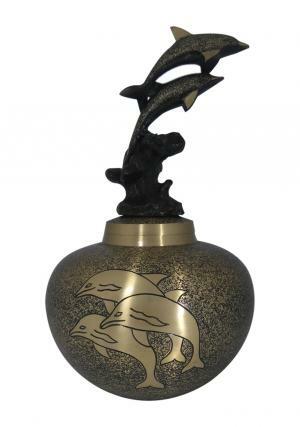 The engraved adult urn has the sculpture of splashing dolphins with heavy brass and beautifully dotted in black with shining brass. 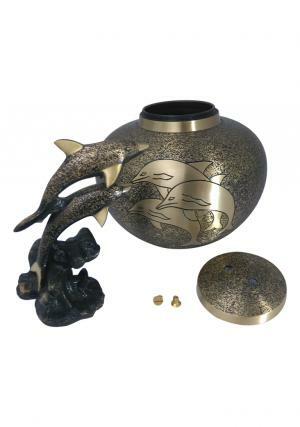 Swimming Dolphin Adult Urn is presented with dolphin sculptures on top with threaded screw lid to secure the top with an easy closure and open for insertion of the ashes. 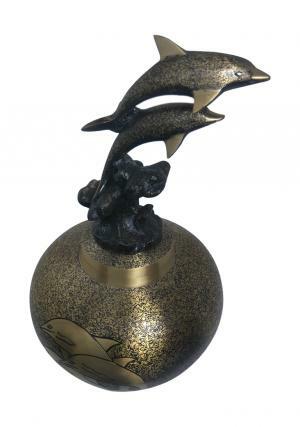 Swimming Dolphin Adult Urn has measured dimensions as 13.2 inch tall, 7.5 inch width and weighs 2.7 kg(empty). 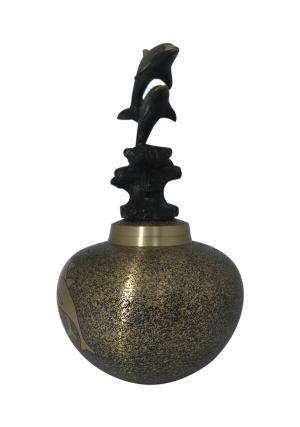 The Adult urn is capable of preserving less than 200 cubic inch of ashes.